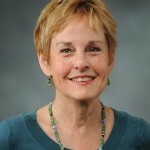 Ann Fisher-Wirth teaches poetry workshops and seminars, 20th-century American literature, and a wide range of courses in environmental literature. She also directs the Environmental Studies minor at the University of Mississippi. A senior fellow and board member of The Black Earth Institute, she was 2017 Anne Spencer Poet in Residence at Randolph College in Virginia. She has held a senior Fulbright at the University of Fribourg, Switzerland, and the Fulbright Distinguished Chair of American Studies at Uppsala University, Sweden. In 2006 she was President of the 1000-member Association for the Study of Literature and Environment (ASLE); also in 2006 she was Mississippi Humanities Teacher of the Year and College of Liberal Arts Teacher of the Year. She has received numerous awards for her work, which appears widely in journals, online, and in anthologies. She and her husband, Peter Wirth, have taught at the University of Mississippi for 30 years. These Things, winner of the 2018 Terrapin Press prize, forthcoming 2019. Mississippi, poetry/photography collaboration with Maude Schuyler Clay, Wings Press 2018. The Ecopoetry Anthology, coedited with Laura-Gray Street, Trinity University Press, 2013. Dream Cabinet, Wings Press, 2012. Carta Marina, Wings Press 2009. Slide Shows, Finishing Line Press, 2009. Five Terraces, Wind Publications, 2005. Blue Window, Archer Books, 2003.